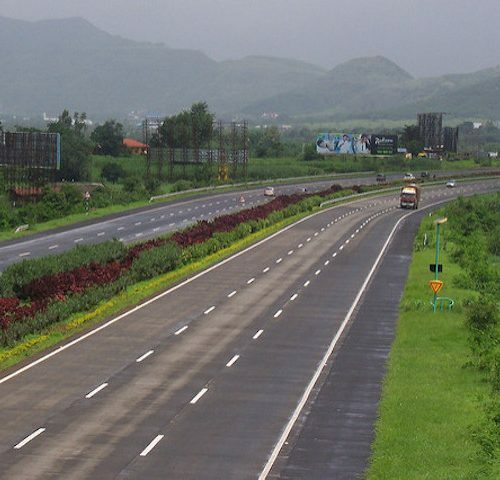 The Mumbai–Pune Expressway is a controlled-access highway that connects Mumbai, the commercial capital of India, to the neighbouring city of Pune, an educational and information technology hub. This divided 6-lane roadway is an alternative to the old Mumbai–Pune highway and helps in reducing travel time between the two cities. It has a speed limit of 80 km/h along most parts of the stretch. Officially, two-wheelers and three-wheelers are not permitted to use most parts of the expressway. Common vehicle types plying on the expressway are cars, trucks and buses. The expressway is 94.6 km long and witnesses a large number of traffic crashes, fatalities and serious injuries. What is the Zero Fatality Corridor? The Zero Fatality Corridor (ZFC) is a pioneering attempt to build a replicable model for road safety that can be implemented on any road. 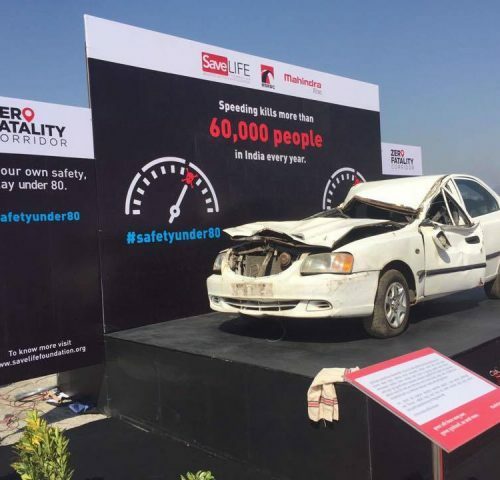 The aim of the initiative is to reduce the number of road crash fatalities on the Mumbai-Pune Expressway (MPEW) from an annual average of 140 to 0 by the year 2020, which marks the end of the UN Decade Of Action For Road Safety. The ZFC initiative is executed by implementing a 360 degree road safety solution across the 4 E's of Road Safety - Engineering, Enforcement, Emergency Care and Education. The initiative is lead by SaveLIFE Foundation (SLF) with Corporate Social Responsibility (CSR) support of Mahindra & Mahindra (M&M) in partnership with Maharashtra State Road Development Corporation (MSRDC) the owners of the Expressway and the Government of Maharashtra. Together SLF, M&M, MSRDC and the Government of Maharashtra officially launched the initiative on February 22nd, 2016 through signing of a Memorandum of Understanding (MoU) committing to the success of the initiative up to 2020. Make the road infrastructure more forgiving by implementing a Safe System Approach to Road Engineering and Design. Establish a “Chain of survival” by improving on-ground care, ambulatory care and in-hospital care for injured road crash victims. Implement Education campaigns to build ownership of the initiative among the users of the MPEW. Road engineering and design is the first step in ensuring safety for the road users. Internationally a design approach called the Safe System Approach is implemented to ensure that the road design is forgiving i.e. road engineers take human error into account during the road design phase so that a mistake by the road user does not result in death or serious injury. Through its on-ground partner JP Research Pvt. Ltd., SLF identified 2,150 engineering faults that influence crashes or injuries the MPEW. With the support of MSRDC, SLF is retrofitting engineering solutions to fix the engineering faults to minimise the risk to road users implement a Safe System Approach. Effective and consistent enforcement of traffic rules is critical to ensure road safety. It has been observed on the MPEW that effective enforcement can significantly reduce crash causing risk factors such as over speeding, drink and drive, lane cutting and improper parking. However most of the enforcement on the MPEW is human dependent i.e. only implemented by Police Personnel on the ground. With actual average speeds on theMPEW well in excess of 100 km/hour, only human dependent enforcement is not enough, electronic enforcement is required. SLF is working to install an electronic enforcement mechanism on the MPEW to aid the enforcement work done by Police Personnel and reduce incidents of speeding, lane cutting, drink driving etc. According to the Government of India statistics, 50% of all road crash fatalities occur due to treatable injuries i.e. if the injured receive timely medical care, their lives can be saved. Emergency Care broadly has three parts; On-scene care, ambulatory care and in-hospital care. SLF is working to improve all three of these on the MPEW, through training of Expressway staff in techniques of Basic Trauma Life Support (BTLS), installing fully equipped and staffed Ambulances and upgrading clinics/medical centres/hospitals on the MPEW. Through sustained efforts, SLF has secured the placement of 5 dedicated 108 Ambulance's on the MPEW. Run by BVG India, the 108 Ambulance operates across the State of Maharashtra under and official partnership with the Govt. of Maharashtra. Education is the use of communication messages to positively influence the road users to adopt safer practices on the road. Through innovative and creative awareness campaigns, SLF aims to build ownership of the ZFC initiative among the commuters of the MPEW and encourage them to do their bit to make the MPEW a Zero Fatality Corridor. To implement the communication campaigns SLF has partnered with Ogilvy an internationally renowned and award winning creative agency.